Capital offenders cannot be executed if they are mentally retarded. Therefore, the IQ scores of offenders are important, and the U.S. 4th Circuit Court of Appeals has held that the Flynn effect is relevant to interpreting their IQ scores. The Flynn effect (IQ gains over time) means that different IQ tests will give different scores purely as a result of when the tests were normed. Because execution must not be a random result of what test defendants take, a formula is provided to convert IQ scores to a common metric: the norms current at the time the test was taken. The formula also includes a correction based on evidence that the Wechsler Adult Intelligence Scale—Third Edition inflates IQs because of sampling error. Given the inevitability that opposing experts will offer conflicting diagnoses, IQ scores merit special attention in capital cases. In this 2006 article, Flynn references the primary court decisions related to the recognition of the Flynn Effect in "Atkin's" cases. As noted by Flynn, "in Atkins v. Virginia (2002), the Court held that the Eighth Amendment to the U.S. Constitution forbids the death penalty for those with mental retardation (MR). Subsequently, in Walker v. True (2005), the Fourth Circuit Court of Appeals held that in applying this standard, the 'Flynn effect' had to be taken into account if it could be shown that it had affected the defendant’s IQ score....similar submissions by others have been welcomed by the courts. 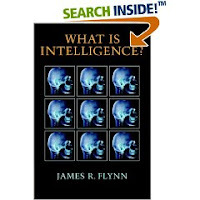 In California, the court in People v. Superior Court (2005) said that the Flynn effect must be considered in determining a defendant’s IQ and noted that its relevance appeared to be generally accepted in the clinical field. 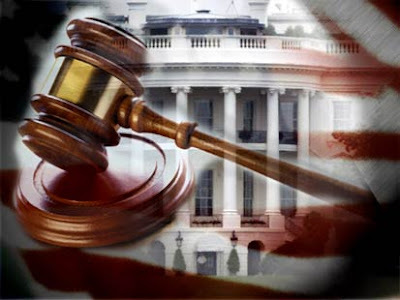 Over the last year or so, two federal courts of appeal and eight courts in six states have discussed its relevance (Black v. State, 2005; Bowling v. Commonwealth, 2005; Ex parte Murphy, 2006; In re Hicks, 2004; Myers v. State, 2005; People v. Superior Court, 2005; State v. Burke, 2005; State v. Murphy, 2005; Walker v. True, 2005; Walton v. Johnson, 2005). In the most recent of these (Ex parte Murphy, 2006), despite a defendant with an IQ of 81 on the Wechsler Adult Intelligence Scale—Revised (WAIS–R), the appellate court granted a stay of execution directing the trial court to resolve the issue of MR. How a defendant with a measured IQ of 81 might be classified as mentally retarded will become apparent." During the defendant’s school years, there was at least one clear diagnosis of MR consequent on inability to cope and a series of IQ scores at 70 or below. The defendant was evaluated at school and was not diagnosed as mentally retarded. However, there is reason to believe that the diagnosis was affected by the fact that IQ scores were assumed to show that the defendant was less than two standard deviations below the mean when, in fact, they signaled the opposite. The defendant never received a formal diagnosis prior to age 18, and therefore, prison diagnosis as an adult becomes crucial. Flynn traces the history of the recognition of the Flynn Effect on IQ score gains in America to his first 1984 publication. He then notes that, since 1998, "when the American Psychological Association issued The Rising Curve: Long-Term Gains in IQ and Related Measures (Neisser, 1998), no scholar published in a first-line journal has ignored the relevant data on IQ gains over time." According to Flynn, it is important to recognize that any Flynn Effect adjustment is complicated by the fact that the rate of IQ gain has been reported to vary by country. Most of Flynn's writing about the Flynn Effect adjustment to IQ scores is based on analysis of data from US populations...and poses problems when attempting to generalize to other countries. The standard Flynn Effect adjustment practice is "to deduct 0.3 IQ points per year (3 points per decade) to cover the period between the year the test was normed and the year in which the subject took the test." One caveat per Flynn...Flynn has reviewed research that suggested potential problems in the norming of the WAIS-III...for which he suggested an addendum: "Deduct an extra 2.34 points from WAIS–III scores on the grounds that it gave inflated IQs even in the year in which it was normed." Flynn clarified this statement indicating that he did not question the content of the WAIS-III, but questioned the accuracy of the standarization norms. After reviewing the extant WISC and WAIS Flynn Effect data at the time, Flynn stated (paraphrasing a voice in a court decision) that "to paraphrase his words, the U.S. Constitution cannot tolerate a death penalty that is the random result of whatever IQ test a school psychologist happened to have in stock. The legitimacy of capital punishment is a matter of debate. Where psychologists should set the criterion for MR will always have to be reexamined in the light of new evidence. But no jurist, moral thinker, psychologist, or person of ordinary decency will believe that the Supreme Court intended to let loose an elephant in a crowd." More on the Flynn Effect. A review of his recent book What is Intelligence: Beyond the Flynn Effect (Flynn, 2009) in the American Scientist. Atkins v Virginia was the 2002 US Supreme Court decision that established the precedent that individuals with an intellectual disability (mental retardation) could not be executed. Since this ruling, the Flynn Effect relevance to "adjusting" IQ scores as a function of the year an IQ test was published has been prominent in Atkin's cases. The relevance of the Flynn Effect to death penalty cases was subsequently upheld in the US Court of Appeals for the Fourth Circuit Fourth Circuit Court decision on Walker v True. This significant court decision has been added to the Court Decision link section of this blog.